What started out as a little dream, God has taken for so much more. If you don't already know, Casey, Emily & myself are hosting a women's conference, Hope Spoken, in March in Dallas Texas. We are currently SOLD OUT of tickets, but hoping to add some more in the next week or two, so stayed tuned! All of you ladies coming: We love you already and cannot wait to meet you. Let's get to know each other a little before March! - post your picture so that we can recognize you. 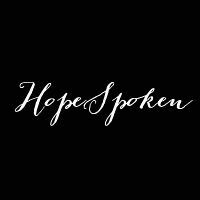 I'm Danielle, and honored to be a host of Hope Spoken. 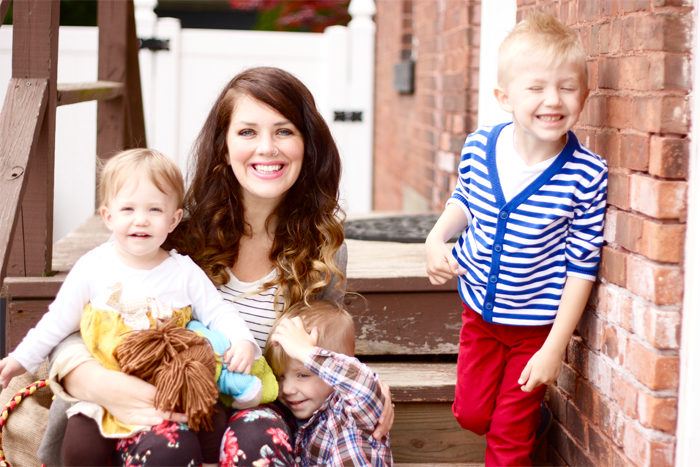 I live in upstate New York with my husband and four kiddos. I tend to be a little crazy when it comes to event planning and everything going off without a hitch. I'm letting go of that and just letting things happen as they do. All I want is for God to be glorified. I want women to see their worth in Him, and that their story is one that should be heard, one should that bring glory to our King. I want women who have no hope to leave with Hope in the one true God. Some random things about me: I am one of three girls, I have an older sister and younger sister. I usually laugh the hardest when people are making fun of me. I could watch My Best Friend's Wedding all day every day and it wouldn't get old. The more kids I have the less I blog. Kapeesh? Kapeesh. We cannot wait to see you in March!